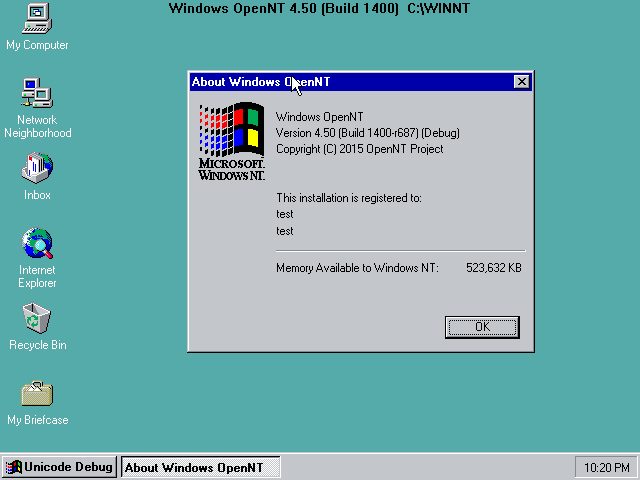 Just stumbled across this: someone has forked Windows NT 4.0 and created an open source version of it. But wait, forked what? Windows source code doesn’t live on Github. Is it ReactOS? No! Upon some digging, it was apparently born from the leaked source code of NT4.0, some W2K bits and 2003 WRK. Looking at activity the project seems to be alive and well. There is some background information and discussion going on BetaArchive for those interested. This is entertaining. I’m amazed I didn’t know about this. I installed it on Qemu… It’s NT 4.0 all right. I haven’t tried any MS service packs or anything exciting. And I see from the wiki notes it’s currently unbuildable. But interesting none the less! I have a IRQ crash both on QEMU and VirtualBox. Can you tell me which QEMU version are you using and what parameters are you using? Thanks in advance. Windows NT 4.0 doesn’t play nice with modern processors. but after install finishes coping files the system crash with bluescreen every time. I’m using 2.4.0.1, which has my hook for control+alt+d does a CAD to make NT more usable. From there I just chose the standard VGA install. Do you know if they build all the good stuff from private sdktools? I always wanted to get them built but never had time to spend on this. Windows NT 4.0 can run on VirtualBox and also try Windows 3.00.14 Alpha on VirtualBox. Yep and the guest additions give you automatic resizing support as well as more colors lol. It also removes the need for it to grab the mouse. They sure do. And without the cpu trick neozeed suggested. It’s more a failure to renew their domain.  THe public repository link gives a 404.
they didn’t pay their registrar & hosting bills so they are effectively offline. What registrar do they use? I have to take action if I do *NOT* want to renew a domain, otherwise the domain is renewed and the money is taken by automatic collection. So the Infocom source code base was just ‘released’. neozeed on Installing AIX on Qemu! dugo on Installing AIX on Qemu! bbslovag on Installing AIX on Qemu! Alecv on Installing AIX on Qemu!